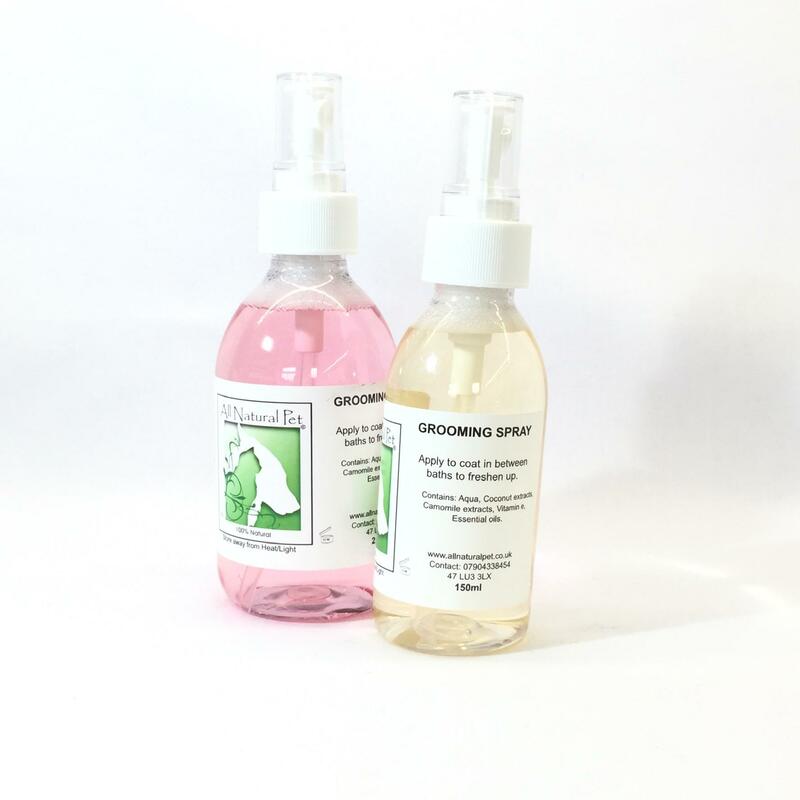 A natural spray to use alongside or in between bathing, containing vitamin E to keep the coat soft and help to keep the coat free of tangles, with a huge amount of gorgeous scents to choose from. Gorgeous smelling spray that makes the coat really soft. The palma violet fragrance is lush. I also use it on my own hair when it smells of cooking etc to freshen it up. I use this whem I'm using the furminator. Our gosh is soft and smells great afterwards. Just perfect!